Plan_Mountaineer – ThermoBuilt Systems Inc. 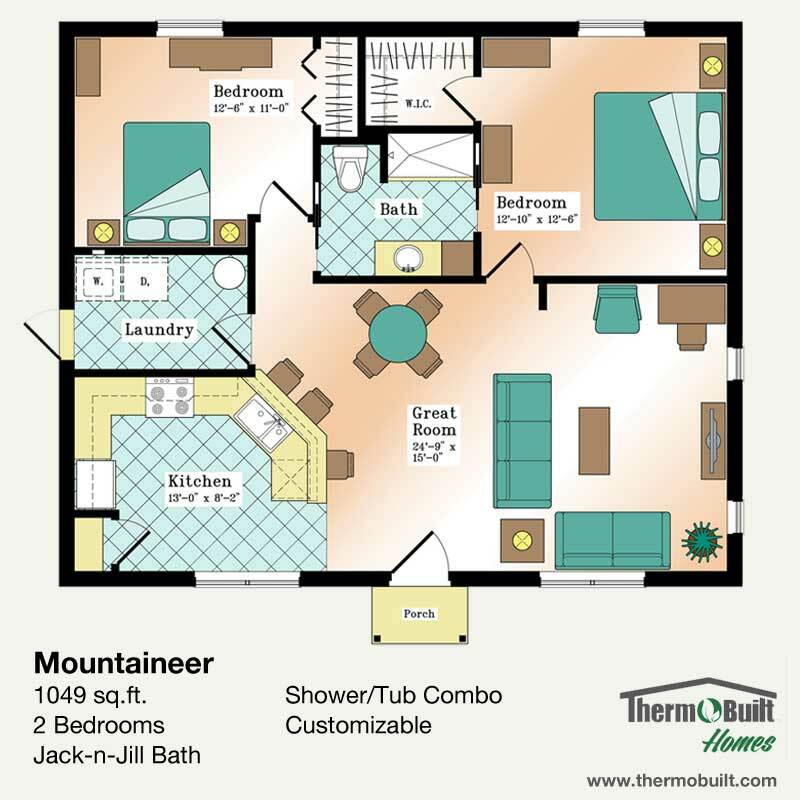 The Mountaineer plan is ThermoBuilt’s most popular multi-bedroom design. At 1,049 square feet, the Mountaineer is a well laid out design offering two bedrooms, a Jack-n-Jill full bath, walk-in closet in the Master Bedroom, a full kitchen with breakfast bar and pantry, and a separate Mudroom/Laundry room. The Mountaineer gives you a lot of features at a great price, with options for customization. This plan is at home on wooded lots, waterfronts, and in-town. Foundation Compatibility: Slab Plan Included. Roof Design Options: Simple Gable 4:12 Included. Available Loft: Currently not available. Delivery costs will vary by region. Delivery fees may apply for remote and/or difficult to reach building sites. Ask for details.